Manado is the capital city of the North Sulawesi province. The Dutch East India Company built a fortress in Manado in 1658 and Dutch missionaries built the first Christian church there. Allied forces heavily damaged the city during WWII. Manado has an epithet that it is "The Land of Smiling People". The Minahasa people are fun loving and extroverted and welcome you to explore the area's rich culture, culinary delights and beautiful landscapes. 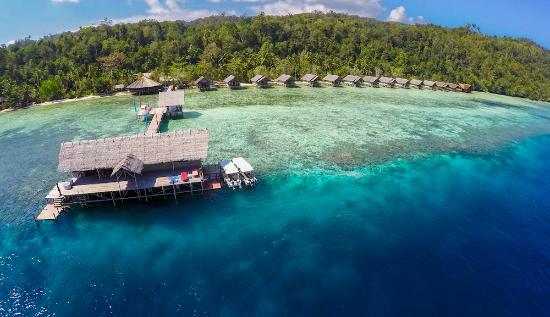 Divers head to Manado to dive the spectacular walls of Bunaken National Marine Park, one of the most well kept marine parks in Indonesia; to search for small and unusual critters in Lembeh Strait or seek out drift dives, pinnacles and pelagics around Bangka Island. North Sulawesi borders on the Republic of the Philippines, Sulawesi Sea and the Pacific Ocean to the north. The eastern part of the province is on the Maluku Sea and the southern side is the Tomini Gulf. The western side borders Gorontalo Province. The terrain is extremely mountainous and hilly with scenic plateaus. There are both active and extinct volcanoes, some towering 1,800 to 2,000 metres. The land is fertile due to the rich volcanic ash. Rice, coconut, corn, clove, nutmeg, vanilla, sago palm and vegetables are produced. 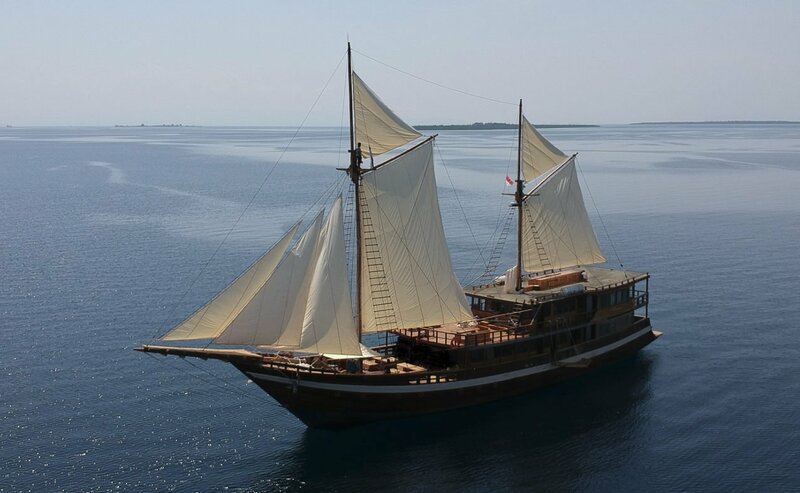 North Sulawesi is also endowed with many lakes and rivers which are utilised for irrigation of the rice fields. The Tondano River is used to generate electrical power for Manado and Minahasa regions. Manado's Sam Ratulangi Airport fields international flights to/from Singapore (3.5 hours). There are also frequent flights to Jakarta (3hr 15min) and Makassar (1.5 hours). Whilst Manado is most famous for it's diving, the city is surrounded by active volcanoes, emerald hills and azure seas. Inland from Manado, a tour through the Minahasa Highlands will take you to intriguing above ground burial sites, volcanoes, hot-springs, the highland Lake Tondano and breathtaking views of lush mountains, coffee and coconut plantations, orchid gardens and terraced hillsides. Wildlife viewing in Nature Reserves to see the black apes, Tarsier (the smallest monkey), cus cus, hornbills, maleo birds and rusa deer is a popular activity. Trek up Mt Mahawu, an active volcano, or snorkel whilst island hopping to the many beaches. There are several shopping malls selling a variety of goods from local handcrafted artwork to discount clothes, jewelry, DVD's and more in Manado. Those with an adventurous palate should try the local Minahasa cuisine: it's very hot and spicy and the Minahasa people are renowned for eating anything! Manado has a typical equatorial climate: the wet season runs from November to April and the dry season is from May to October. Although, you are likely to get some rain even in the dry season. The air temperature remains fairly constant throughout the year, ranging between 23 ºC – 30ºC and the average humidity is 80%. The water temperature is a fairly constant and warm 27ºC - 29ºC (dropping to 25 ºC in Lembeh Strait in July / August). Diving is conducted year round although conditions will vary throughout the year in the different areas. Bunaken: From November to March, the cooler north-westerly winds can make sea conditions rough and visibility can sometimes drop to 10-15 metres. Dive sites on the western side of Bunaken Island may be inaccessible during this period. The westerly winds can also bring in a lot of trash to the western beaches such as Liang Beach and the main beach on Bunaken. Visibility at other times of the year is normally 20 metres and up. Lembeh Strait: The highest numbers of critters are usually seen when the water is at its coolest between July and August. January and February has the poorest visibility and rough seas may limit access to some of the far northern dive sites during this period. Bangka Island: Visibility is best from March to June. November to December is generally wet and July to October has more wind which both can result in lower visibility. 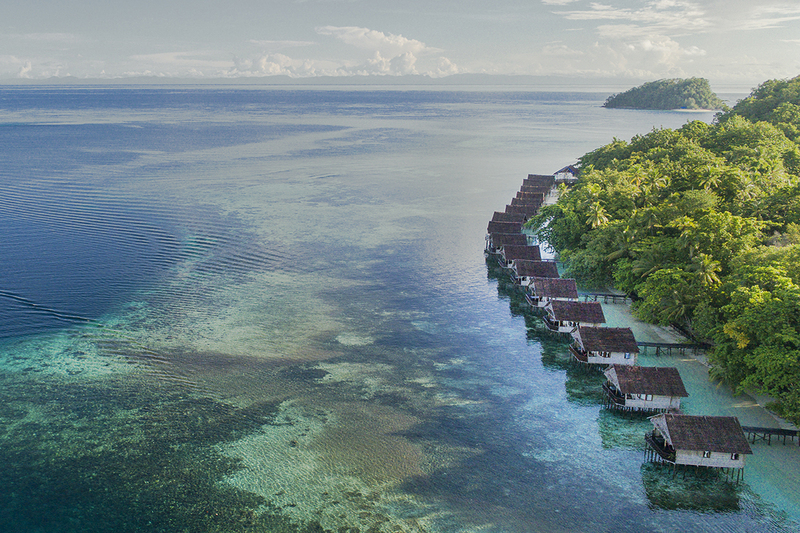 The clear, calm waters of North Sulawesi are a haven for underwater photographers looking for unusual critters and pristine coral growth. Over 70% of all fish species that exist in the Indo-western Pacific can also be seen around Manado. Marine biologists, photographers and recreational divers prize this eco-treasure. The diving is a mixture of walls, drift, muck and critter spotting. You will also encounter rays, sharks, barracuda, napoleon wrasse and turtles. Whether you are a novice or experienced diver, you will be sure to find some new and exciting species here. Was formally established in 1991. It supports a migratory route for protected animals and is of high economic value for tourism and fisheries. The marine Park is approximately 18km from Manado Bay, covering an area of over 75,000 hectares and includes the islands of Bunaken, Siladen, Manado Tua, Montehage and Nain. Steep walls with abundant coral growth surrounds Manado Tua whilst many sites around Siladen and Bunaken feature shallow reef tops extensively covered by hard and soft corals teeming with fish life. There are about 25 dive sites around Bunaken averaging between 5 - 40+ metres in depth. The visibility ranges from 20 - 35 metres and water temperature is between 27 - 30º C. Currents in the area are usually mild but occasionally can be strong. Located approximately 45km east of Manado, the black sands of Lembeh is the best place for muck diving if you love small and unusual critters. On a typical dive you will find pygmy sea horses, Mandarin fish, hairy frogfish, ornate ghost pipefish, emperor shrimp, bumblebee shrimp, harlequin shrimp, cockatoo waspfish, boxer crabs and many different types of nudibranchs. There are over 30 dive sites around Lembeh averaging between 5 - 30 metres in depth. The visibility ranges from 10 - 25 metres and water temperature is between 24 - 29º C. There is little current in the area. Bangka lies off the northern tip of Sulawesi, some 80km from Manado. The islands are quite exposed and often get strong currents making it an ideal area for drift dives around steep pinnacles. Pelagics come in to feed and the reefs are alive with colour. There are over 25 dive sites around Bangka averaging between 5 - 40+ metres in depth. The visibility ranges from 10 - 35 metres and water temperature is between 27 - 30º C. Currents in the area can be strong.